PoemTalk’s crew (Al Filreis, Zach Carduner, Chris Martin, and Lily Applebaum) took to the road, wandering pretty much as far west as one can go on this continent, to a place Philip Whalen called, in a poem’s subtitle, “The Last of California” — Bolinas, a legendary, out-of-the-way coastal spot famous for being, among other things, a congenial retreat for writers and other artists. 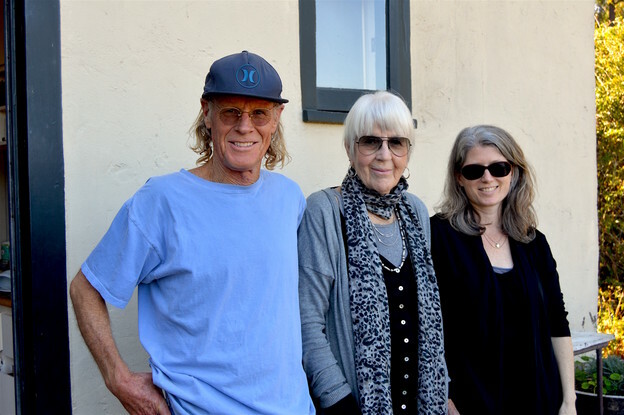 We met up at the home of Stephen Ratcliffe on a perfect late-summer day, set up our audio and video equipment behind Steve’s house, on a weathered table looking out at a mesa meadow, and soon were joined by Joanne Kyger, a Bolinas neighbor, and by Julia Bloch, who was traveling around her old northern California spots giving readings. We came together to discuss the aforementioned Philip Whalen, a poet who also spent important moments of his life and work in Bolinas. Our poem was indeed written in this surfer’s hamlet, in 1968, and finished in Kyoto, Japan, in 1969. It’s called “Life at Bolinas. 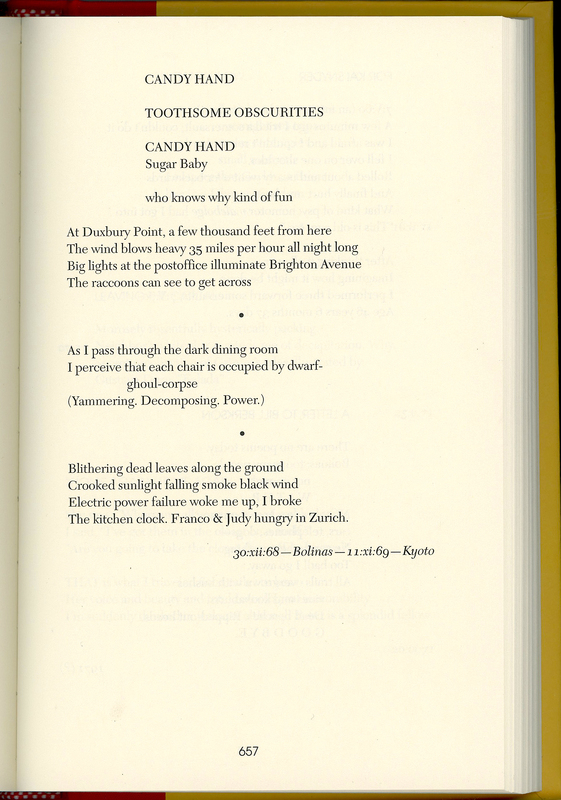 The Last of California” and can be found on pages 655–57 in The Collected Poems. Whalen’s PennSound page includes a recording of his performance of this poem, the final poem he read at an event in Albuquerque in 1987. What does Whalen mean by “last”? Is this a farewell to Bolinas? Is there something final about the experiences reported here in this collage of memories and scenes? Joanne at several points observes that at least parts of the poem seem to have been written in Kyoto, and that Kyoto scenes are a presence in its lines, mixed with memories of Bolinas, a recent past seen from afar. Even “Duxbury Pond,” as locally specific a reference to Bolinas as could be, is pronounced unlocally (as Stephen and Joanne both notice). The outsider’s enunication suggests that the poem is the ode to places composed from beyond them. Then again, there’s a precise evocation of the late Bolinas autumn (“Blithering dead leaves along the ground / Crooked sunlight”); the desolate, windy scene intruded upon only by very particularized raccoons; and the real clock Whalen broke at the Doss house where he was staying as a guest. The speaker is there. 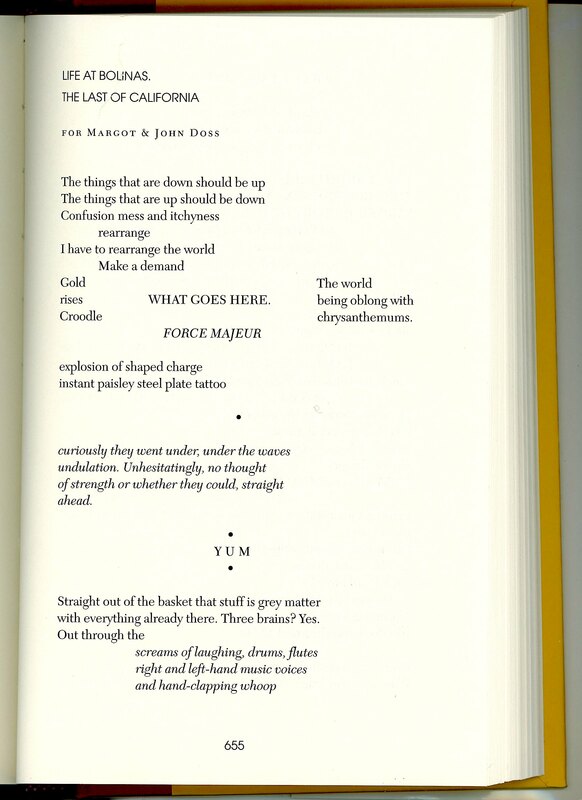 His “WHAT GOES HERE” points to Bolinas/Kyoto, surely, but also seems to be a metapoetic inquiry into how bits of precise writing are to be formally arrayed on pages like these. Yes, the disorganized organizational method produces “Confusion mess,” in the poem’s phrase. But the desire (as strong here as in any poem by Whalen) “to rearrange the world” expresses longing for a supreme fiction. Such a rearrangement — and that after all is what poetry can do — turns things upside down and yet creates a returned-to home (however temporary) out of the things and sounds and people of one’s local visitations. 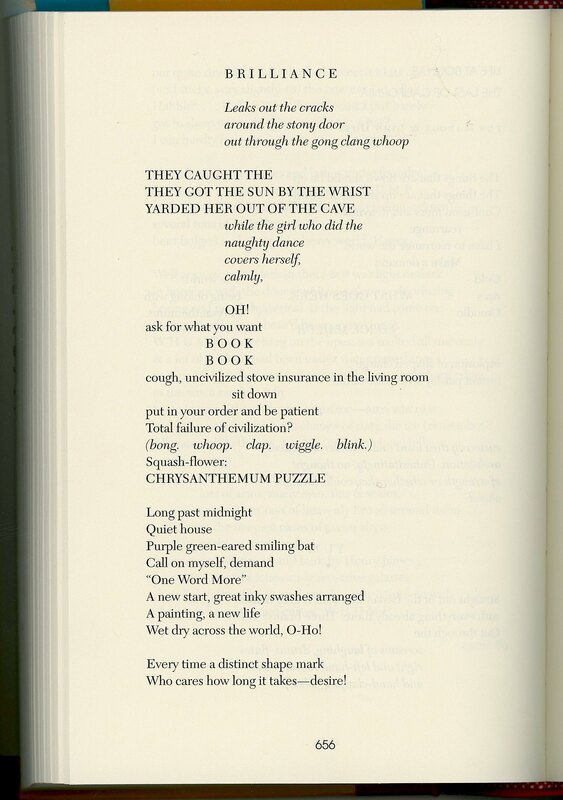 Scroll down and you will see links to scans of the poem’s text. 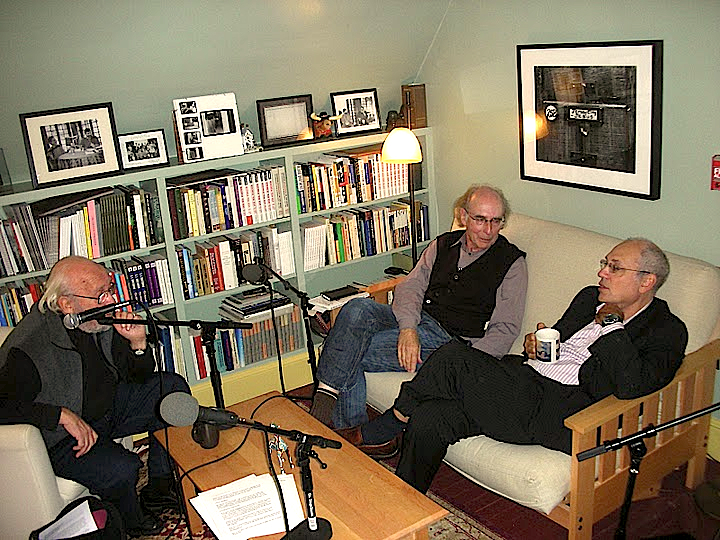 And, below that, the video recording of this PoemTalk session. Note that the video is some ten minutes longer than the audio podcast; that extra ten minutes includes, among other things, includes some personal remembrances of Philip Whalen by Joanne Kyger. Video and audio recordings were engineered on location by Zach Carduner and Chris Martin. 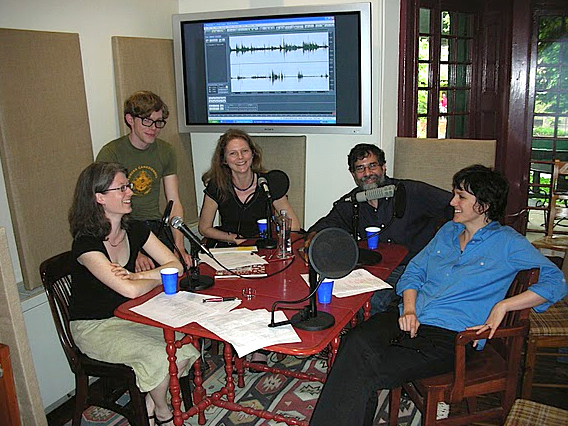 Editing of both versions has been done by Zach Carduner back at the Writers House in Philadelphia.